Trump triggered a 60 day review period for Congress to take action. They didn't. When President Donald Trump announced two months ago that he would not certify Iran’s compliance with the nuclear deal, he automatically triggered a 60-day review period during which Congress could decide to snap tough economic sanctions on Iran back into place -- a move that would effectively kill the landmark nuclear arms agreement. That review period expired Tuesday, and the results are in: Congress chose not to act. (Evan Vucci/AP) President Donald Trump adjusts his suit jacket after signing the National Defense Authorization Act for Fiscal Year 2018 bill, in the Roosevelt Room of the White House, Dec. 12, 2017. The White House said Tuesday there was never any expectation Congress would act on sanctions within the review period and that the administration is still working with Congress on a longer-term, legislative fix to the deal. That means the deal, which Trump recently described as the "one of the worst and most one-sided transactions the United States has ever entered into," remains unchanged -- and the Republican Congress, which the president hopes will make a decision for him, is signaling they may lack the political grit to pass a law that kills it. 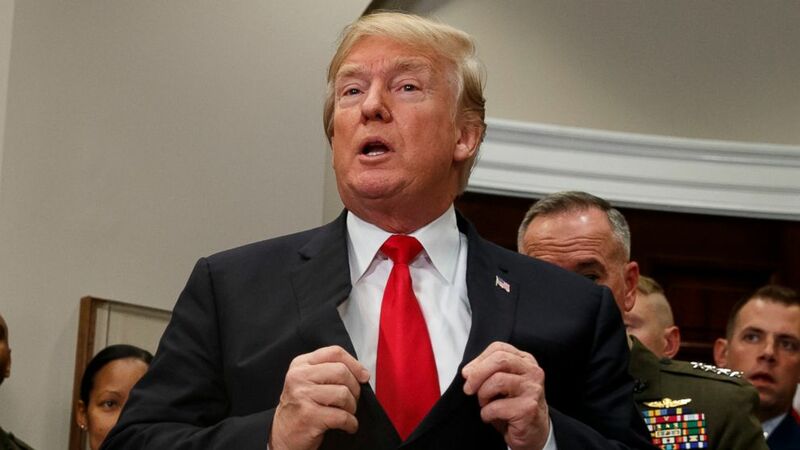 Trump has said he wants Congress to "fix the flaws in the deal" by passing a law that would remove sunset clauses and impose restrictions on Iran's ballistic missile program. Secretary of State Rex Tillerson has called them "trigger points" that relate to unacceptable Iranian behavior. But all five international signatories to the deal agree a U.S. law like that would amount to a material breach. Congress' inaction during the review period raises questions about whether or not they will pass a new law that could kill the deal later. 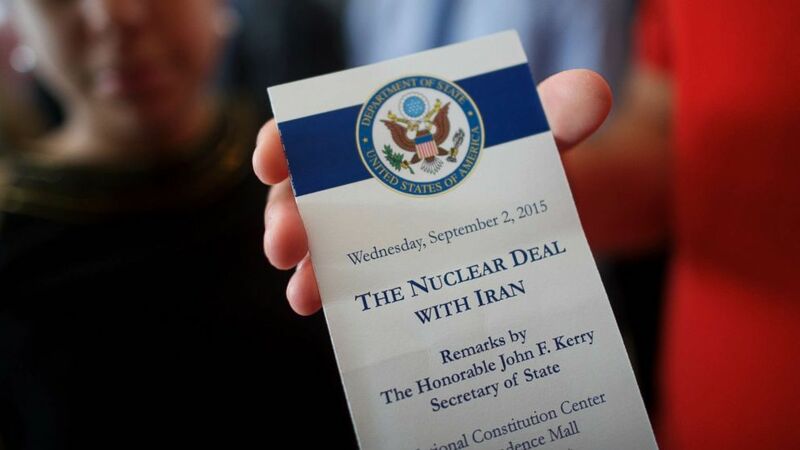 (Mark Makela/Getty Images) An attendee holds a ticket from the speech U.S. Secretary of State John Kerry delivered on the nuclear agreement with Iran at the National Constitution Center, Sept. 2, 2015, in Philadelphia. Micah Johnson, a spokesman for Senate Foreign Relations Chairman Sen. Bob Corker, R-Tenn., told ABC News the senator is having "productive discussions" with the administration and other congressional leaders "about the appropriate path forward." Senators Corker and Tom Cotton, R-Ark., released a legislative framework for fixing the Iran two months ago, but sources on Capitol Hill told ABC News so far there is no new legislation circulating. Trump has threatened to end the deal on his own if Congress does nothing. "In the event we are not able to reach a solution working with Congress and our allies, then the agreement will be terminated," the president said in October. "It is under continuous review, and our participation can be cancelled by me, as president, at any time." Assuming Congress doesn't put forward any new legislation on Iran, the next step lies with Trump, and he could reach a tipping point when he's confronted with making a decision on the next round of sanctions waivers on January 13.